I am bringing Open Data Camp a big fat data problem. How many young people are homeless every year? Whilst Centrepoint estimates that the figure is 80,000, the truth is, no-one really knows. Government and hundreds of organisations are working to improve the situation for young people experiencing homelessness. However there are currently no ways to collect, track and measure the work being done on a national scale. We often operate in a vacuum, not knowing how many young people are homeless, or why; or which interventions are most effective. We aim to change this. Centrepoint have recently won a grant from the Google Impact Challenge to create the UK’s only Youth Homelessness Databank. The Databank will collect and collate data from multiple sources: the homelessness charity sector, local authorities, central government and other open datasets. Analysis and visualisation of these data will give us a holistic picture of the scale and causes of youth homelessness; and of the range and effectiveness of interventions. This will lead to a greater understanding of what works, better services, better funding decisions and ultimately better outcomes for young people experiencing homelessness. 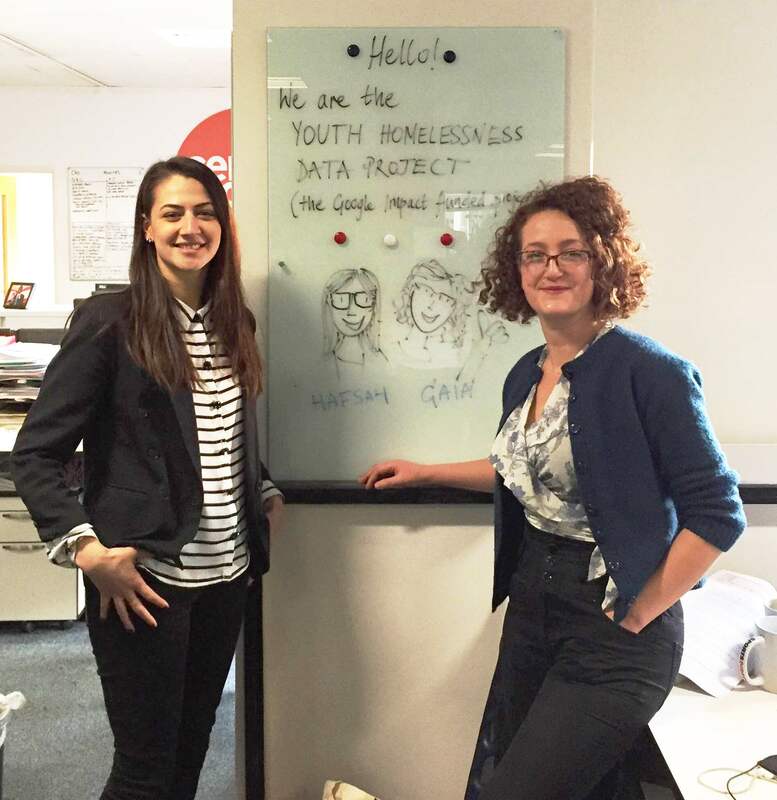 can we piece together data from the homelessness charity sector, local authorities, central government and open datasets to understand which young people experience homelessness, why this happens, and what works for them? breaks into a thousand cuts of questions and poorly aligned data sets. I would like to understand how youth homelessness data flows around the country. Data somehow whizzes from beneficiary to assessment to beneficiary to provider to local authority and/or funder to DCLG to live data-table…. Can we map this journey? Yes, FOIs. We have questions, me may have to FOI them. What works and what doesn’t? Who are the critical friends within local authorities that we can talk to for the inside scoop? FOIs do not a collaborative project make! 4. What Databank can do for you? I don’t ask what you can do for the Databank, I ask what Databank can do for YOU! The UK spends up to £3.2 billion a year on youth homelessness. As we approach the impending fiscal cliff, what can the Youth Homelessness Databank do for YOU? Getting client management systems to talk to each other. Any tips? On a post-it please! Beyond #ODC, the Youth Homelessness Data Bank wants to hear from you –your contacts, your ideas and expertise on what data we should be collecting, which services/agencies we could be requesting information from and how we can offer young people experiencing homelessness opportunities to be involved.